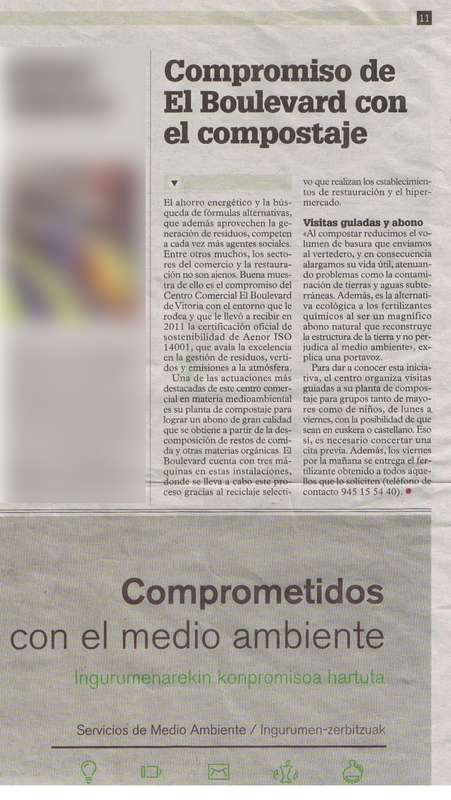 “El Boulevard”, shopping mall in Vitoria, counts with a Kollvik composting plant equipment. Vocento’s media highlight the commitment of “El Boulevard” with the environment. Congratulations! Kollvik is the protagonist of the last number of the publication. 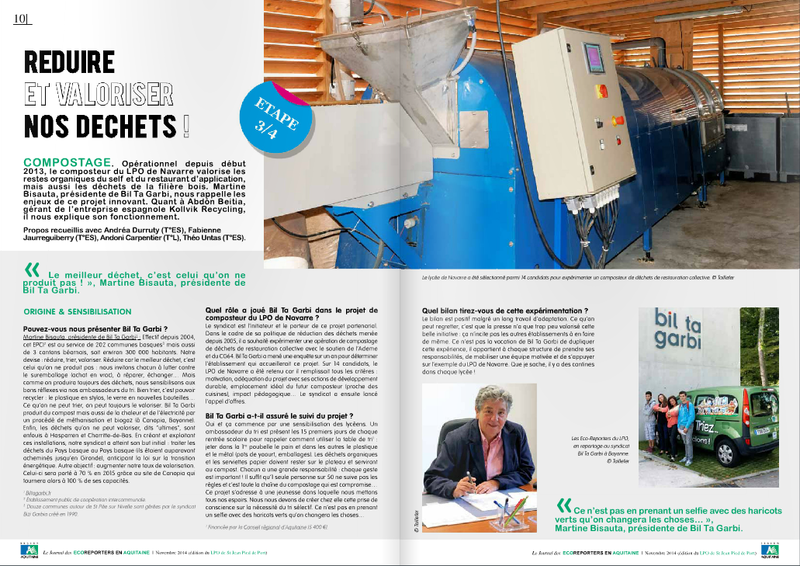 The French magazine ‘Les echos du Val de Noye’ publishes on its 38th number an article about Kollvik domestic composters, provided at the school William Classen (Ailly-sur- Noye). 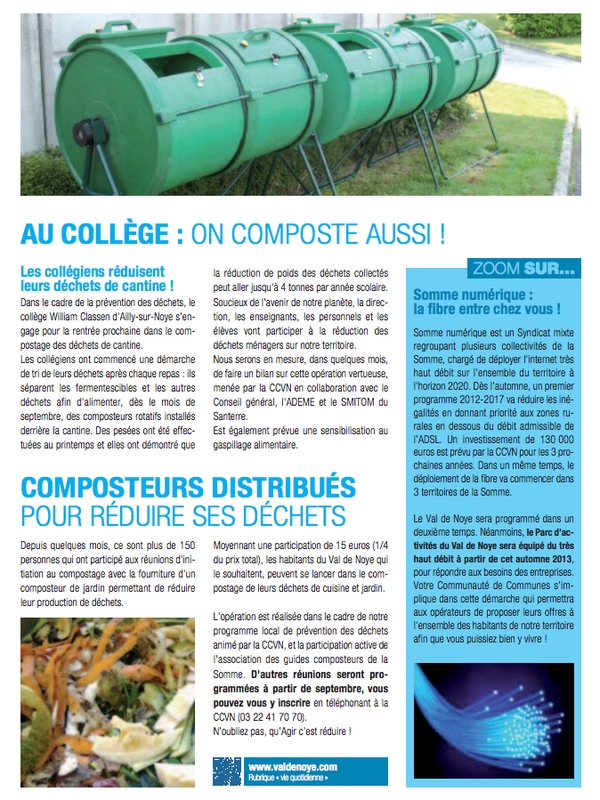 The students of this school centre, located nearby Amiens, have started to separate food scraps and will feed the composting equipment provided by Kollvik with organic waste in order to generate compost.